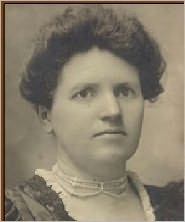 Sinclair (Sinclair-Cowan), Bertha Muzzy Writing under the pseudonym: Bower, B. M.
Bower's 1912 novel Lonesome Land was praised in The Bookman magazine for its characterization. She wrote 57 Western novels, several of which were turned into films.--Wikipedia. Epub 20101201.epub If you cannot open a .mobi file on your mobile device, please use .epub with an appropriate eReader. Mobi/Kindle 20101201.mobi Not all Kindles or Kindle apps open all .mobi files.